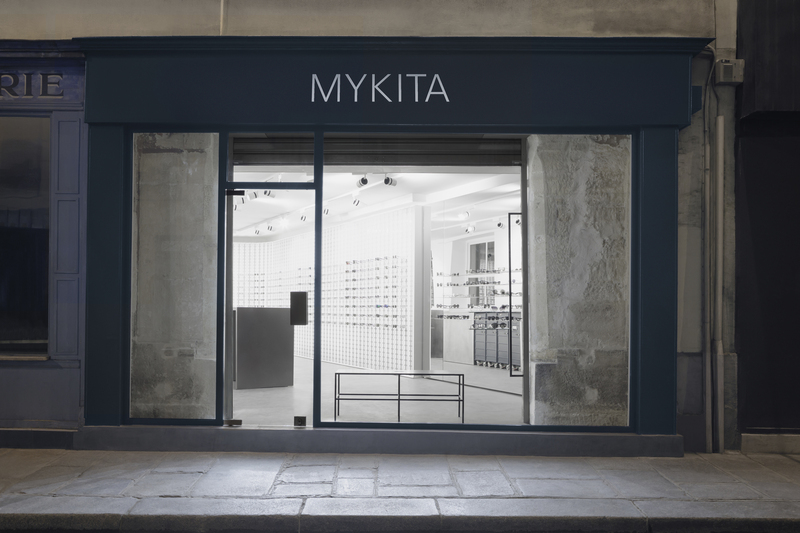 19 Rue du Pont aux Choux, 75003 Paris – On a quiet street in Le Marais, the high-tech aesthetic of the MYKITA shop front provides an eye-catching contrast to the petite cafés and pastry shops of this narrow city lane. The floor-to-ceiling mirrored wall of the shop entrée first catches the eye of passers-by. Here the highlights from the new collections are presented on an arrangement of free-floating shelves. 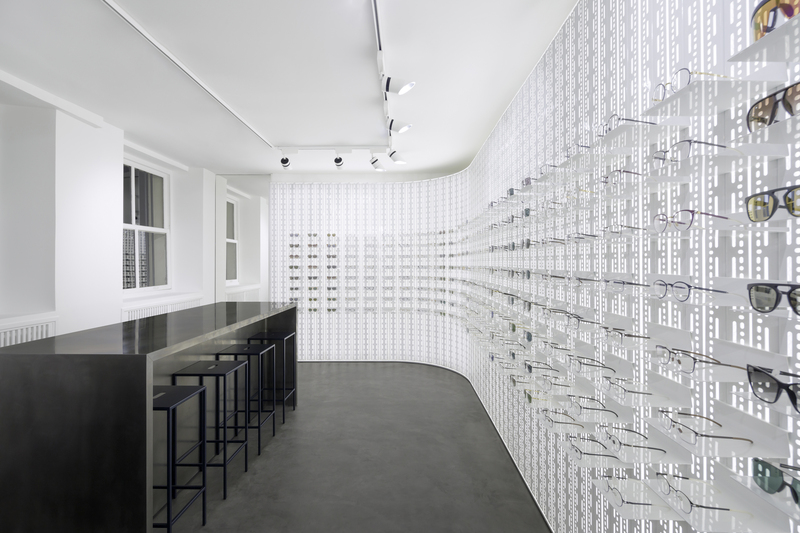 Once inside the shop, the novelties wall extends into the signature white MYKITA WALL, holding all optical and sunglass collections. The natural stonewall exterior continues partway inside the shop where concrete flooring meets with two custom-made stainless steel tables and additional sleek furniture pieces in blue grey – a visual reference to the façade of the same colour.